Using Jonathan Soma’s 2013 Interactive Singles map, we have gathered the go-to small cities (all with populations less than 100,000) for men aged 50 to 64 who are still looking for someone to call their own. So say “goodbye” to mega polices, and say “hello” to some pretty women residing in small cities, that just may surprise you. Nicknamed “The City with Spirit,” Cleveland, Tennessee is known for its best rafting in America, a historic downtown and not to mention 641 more single women than single men. Put this charming city on your dating plate, and you won’t regret it. Known as “City of Champions,” Gadsden, Alabama will make you a champion of love — what with the romantic wineries, nature trails and twin drive-in theater to choose from. And don’t forget the 645 extra single women who are waiting for a great guy like you! Corvallis, Oregon is one of the best places for single senior men. Who knew a city that is perfect for college students could also be perfect for mature men seeking a mature partner? We did. Plus 657 more single women can be found here! Located in southwest New York state, not only will Elmira help you find the love you have always dreamed of (single women outnumber single men by 703), but this quaint city will also help you keep those memories alive once you’ve found it. “The sky’s the limit” in Lewiston, Maine, and so are your dating options. Not only does this All-American city have tons of cool things to do, including recreation, festivals and museums, but there are 716 extra single women. You might have seen Elizabethtown, Kentucky on our list of the 19 Best Small Cities for Single Millennial Women, but according to the numbers, this Southern city is also the #19 Best Small City for Single Senior Men. There’s also an excess of 787 single women! Who wouldn’t want to live and fall in love in beautiful Florida, especially Palm Coast?! As the most populous city in Flagler County, you’re sure to find someone who is just right for you in Palm Coast. In fact, it just might be one of the 796 more women who are also still waiting to find someone who’s just right for them. 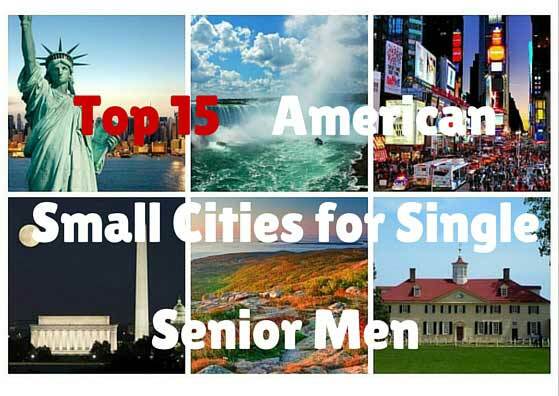 We have gathered the go-to small cities (all with populations less than 100,000) for men aged 50 to 64 who are still looking for someone to call their own. We had another close race with Palm Coast and Danville, but this Virginia city won out with 797 more single women than men. Known as “River City” and “The City of Churches,” Danville is in the heart of this Southern state, and we think you’ll win the heart of someone special here. Coming in at #14 is Ithaca, New York, which also came in at #18 on our list of the 19 Best Small Cities for Single Millennial Women. It seems like this city is just perfect for everyone, and the men who know there are 996 more single women would have to agree! Another college town makes our list of the 25 Best Small Cities for Single Senior Men, and we think the youthful vibe of Lawrence might be one of the reasons why. That and the fact that single women outnumber single men by 1,029. Mount Vernon is the fourth city from our list of the 19 Best Small Cities for Single Millennial Women to make our list of the 25 Best Small Cities for Single Senior Men, and with 1,061 more single women, it’s easy to see why. Yes, we have another city that’s perfect for single millennial women AND single senior men, but can you blame Lawton for being so awesome? We think not. Single fellas, you might want to take into consideration that single women surpass you by 1,088! Whether you call it JoBro, the Borough, J-Town or J-Boogie, Jonesboro, Arkansas won’t disappoint when it comes to cool date activities that satisfy nature lovers and foodies alike. Did we mention that single women surpass single men by 1,206? Sherman, Texas is a classic town with a broad horizon, and that includes its dating horizon. Take in a concert, try a new restaurant or get a romantic massage. We guarantee the 1,377 extra single women will enjoy a man who has a variety of interests. 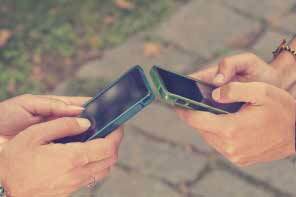 Next articleWhat Makes Some Gay Dating Sites Different And Better Than Others?